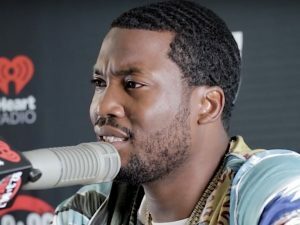 Rapper and “Music Inner City TV” artist Meek Mill has called for an overhaul of the criminal justice system in a New York Times essay recently. Meek Mill said “The criminal justice system has a set of rules created to protect you. But do you think it’s really protecting us?” Mill also known as Robert Rihmeek Williams, used his own experience with the criminal justice system as a example of what he say’s is bias in the country’s prison system. The rapper noted that he is working to start a foundation that will create better prison rehabilitation programs, updated probation policies and an improved bail system. I have much respect for Meek Mill and Kevin Gate. Brothas who have served time behind bars but have used their experience to try to make a difference. Leave your comments below. Sol Alosi Should Be FIRED For Tripping A Player From The Sidelines!